"Techno-economic analysis and life-cycle greenhouse gas mitigation cost of five routes to bio-jet fuel blendstocks," published recently in the journal Energy & Environmental Science, provides promising evidence that optimizing the biofuel production pipeline—taking carbohydrate-rich plant material and using genetically modified bacteria to digest the isolated sugars into energy-dense molecules that are then chemically converted into a fuel product—is well worth the effort. Currently, multidisciplinary teams based at JBEI are focused on optimizing each stage of the bio-jet fuel production process. 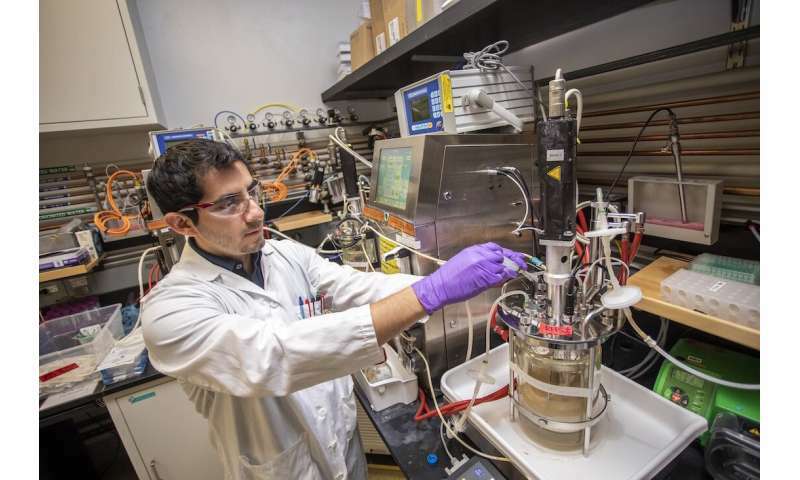 Some researchers specialize in engineering ideal source plants—referred to as biomass—that create a high proportion of carbohydrates and a low proportion of lignin, a type of material that, as of now, is more challenging to make useful. 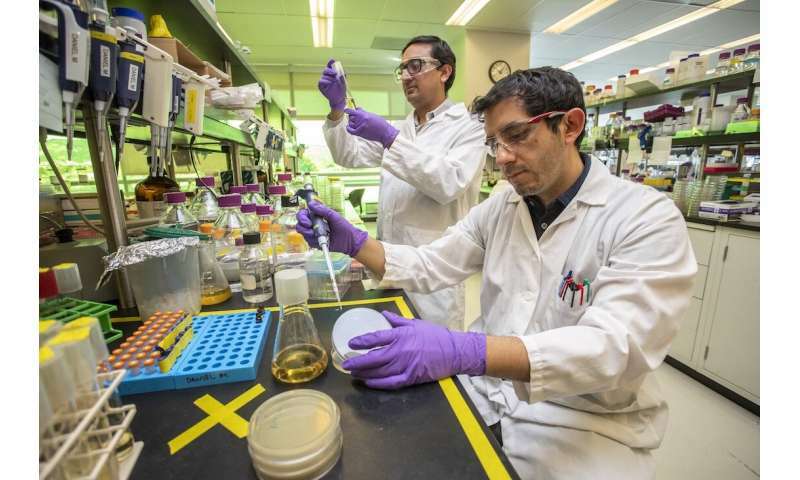 Meanwhile, others are developing methods for efficiently isolating the carbohydrates in non-food biomass and breaking them into sugar molecules that bacteria can digest, or "bioconvert," into a fuel molecule. To obtain the highest possible yield from bioconversion, yet other JBEI researchers are examining what genetic and environmental factors make the modified bacteria more efficient. "Our hope is that early in the research stages, we can at least simulate what we think it would look like if you develop these fuel production routes to the point of maturity," Scown said. "If you were to push them to the ethanol benchmark—the technology to create ethanol from plant material like corn stalks, leaves, and cobs has been around a long time, and we can ferment sugars with a 90 percent efficiency—how close would this get us to the market price of petroleum fuels? That is important to know now. The results showed that all five pathways could indeed create fuel products at the target price of $2.50 per gallon if manufacturers are able to convert the leftover lignin into a valuable chemical—something JBEI researchers are currently working toward—that could be sold to offset the cost of biofuels. The net price of a gallon of biofuel could be lowered further if airlines were offered even a modest financial credit for emissions reduction. Is there enough economic plant waste to accomplish this? Only the plant waste within a transportation feasible radius can be used to fuel a bioreactor. Additionally, many crops use these wastes as fertilizers by plowing them back into the fields. Without these current "wastes" - the farmer has to add additional fertilizers necessary to offset fertilizer value of the "wastes." At some point biofuels invariably compete with food crops for petroleum dependent NPK (especially rock phosphates) fertilizers - that 95% of global food production depends on. When you start looking for true plant "waste" products (having no real value to the production system and within an economically feasible transportation radius - the quantities of true/real plant wastes are very probably too limited to provide a major fuel benefit.